What to do with the old hard drive you just removed from your laptop or desktop? You could just keep it around as a spare—but installing it into an external enclosure and effectively transforming it into a portable hard drive would be far more useful. You'll be able to access all of the files on the drive at a moment’s notice, but you could also use it for backups or simply transferring data between systems. Enclosures that can turn any 2.5” hard disk or solid state drive into an external USB drive are widely available and affordable too. There are a slew of external enclosures available for hard drives, and pretty much all of them are dirt-cheap—less than $10, in some instances, with the most feature-filled models topping out around $40. You’ll find everything from simple aluminum sleeves to larger multi-drive docks that can connect to a variety of different ports. USB enclosures are by far the most common, but eSATA, Thunderbolt, and Firewire enclosures are available too. External drive enclosures are fairly simply devices. For example, they can take a standard 2.5-inch SATA drive and bridge the SATA interface to USB, or another interface of your choosing. 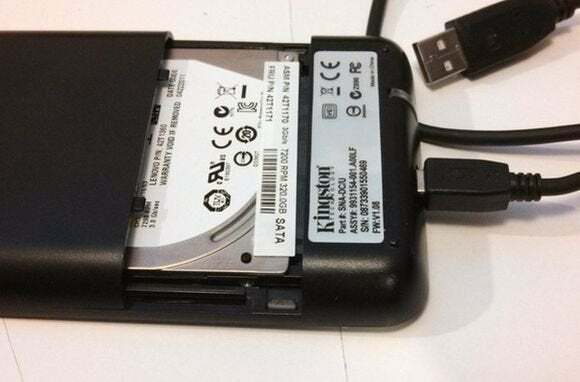 Some enclosures are sealed and turn your formerly internal drive into a portable storage device, while others function as more of a dock, where drives may be connected at will. External enclosures are not just for hard drives, either. 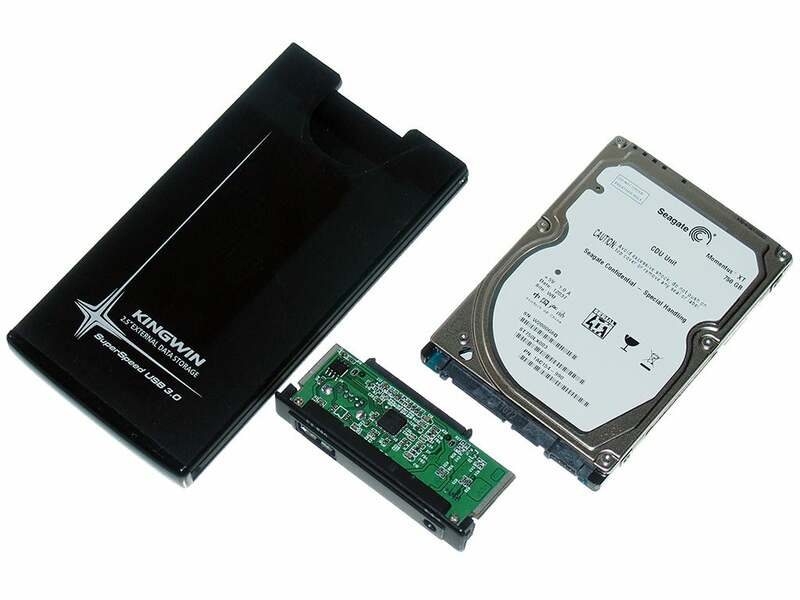 An old SSD would be a perfect candidate for a high-speed external drive—especially since it probably cost a pretty penny. The USB interface found in most enclosures may not be able to exploit all of the performance benefits of an SSD, but an SSD in an external enclosure equipped with a USB 3.0 port will still shift files around at a speedy rate. Most external drive enclosures include a rigid shell and a small circuit board, which is essentially a SATA to USB bridge adapter. There are a few things to consider before installing your drive into an external enclosure. If the drive is encrypted, for example, you may want to re-connect it to the original system to access it and back up any important data on the drive. Even if the drive is not encrypted, it’s probably a good idea to back everything up beforehand. On very rare occasions, compatibility issues may prevent you from accessing a drive installed into an external enclosure without re-formatting it. Most of the external enclosures available today, however, feature mature technology and are fairly reliable. Regardless, it couldn’t hurt to back things up—just in case. Installing a drive into an external enclosure is usually very easy. 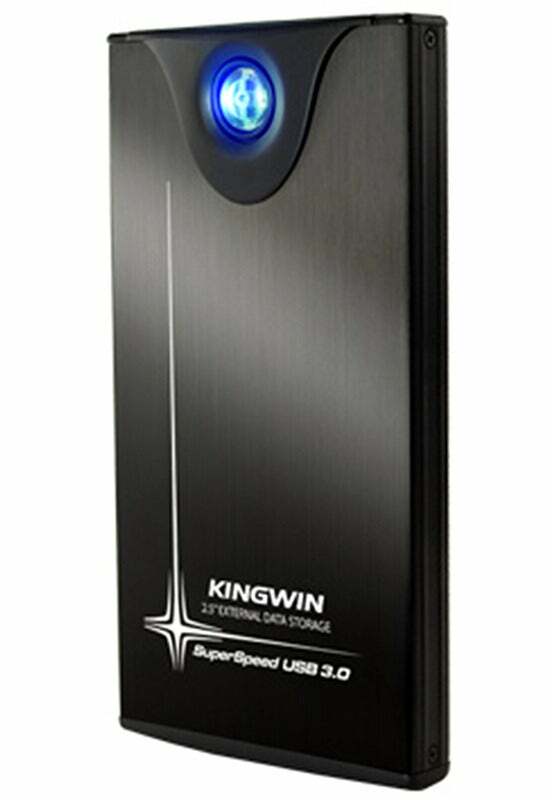 For the purposes of this article, I picked up a Kingwin ATK-25U3-BK USB 3.0 enclosure on NewEgg for about $27, but the assembly process should be similar for all hard drive enclosures. Assembling the Kingwin ATK-25U3-BK couldn’t be any easier. The drive plugs right into the included circuit board, then slides right into the housing, and four tiny screws hold it all together. The Kingwin ATK-25U3-BK includes all of the cables necessary to connect it to a PC, along with a simple carrying case. Installing a drive into the enclosure required only one tool—a small Phillips-head screwdriver. I had to remove four small screws from each corner of the enclosure and slide out a small circuit board (the section with the connectors attached). The circuit board features a bridge that converts the SATA interface to USB 3.0. 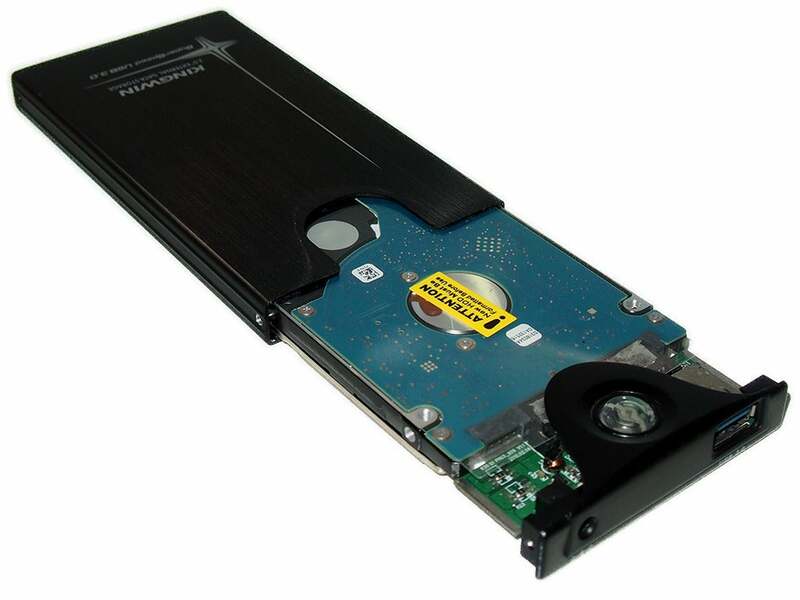 There’s also a thin, transparent protective shield that protects the bottom of the drive being installed, which is where a 2.5-inch hard drive’s controller board is typically exposed. The drive slides right onto the small circuit board; simply line up the male/female SATA data and power connectors and push them together. Once the drive is connected to the converter board, the whole assembly slides into the enclosure. Tighten the screws that hold the enclosure together, and it's ready to go. After stationing your hard drive in the enclosure, all you’ve got left to do is plug it into an available USB port on your PC. Easy! 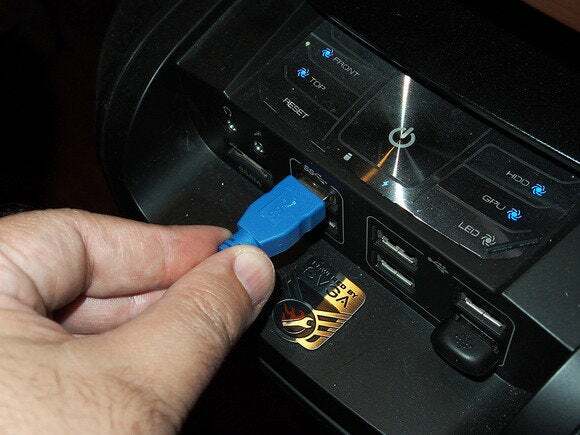 To use your new external drive, all you should have to do is plug it into an available USB port on your PC. Some enclosures will include two USB cables (as ours did)—one for data and the other for supplemental power. If the enclosure you choose requires two cables, connect them both to ensure reliable operation. Many drives will work with just the single data cable attached, because it can provide some power. Under load, however, a single USB port may not be able to provide enough juice, and the drive could drop from the system. You needn't retire or recycle old hard drives. Put it into an external drive enclosure, and you can keep the data with you or use the drive as portable storage. In the throwaway culture of high tech, this solution's a keeper.